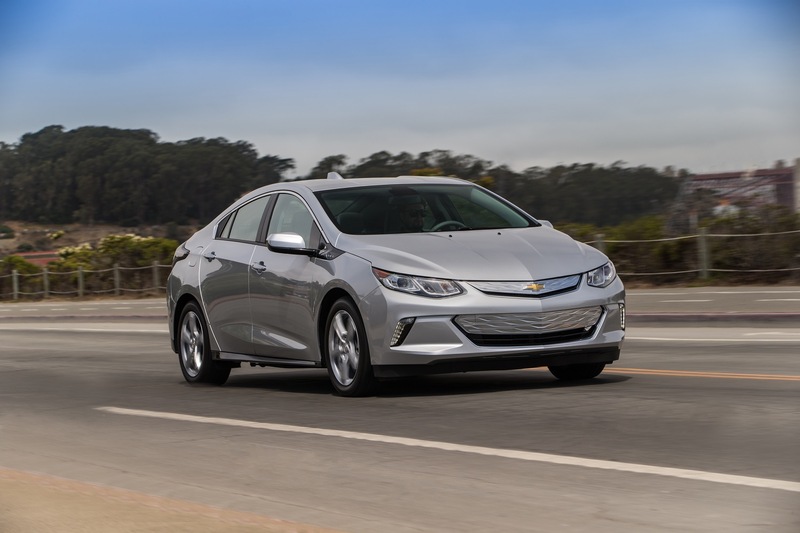 Chevy Volt sales increased in the United States while decreasing in other trackable markets during Q4 2018. 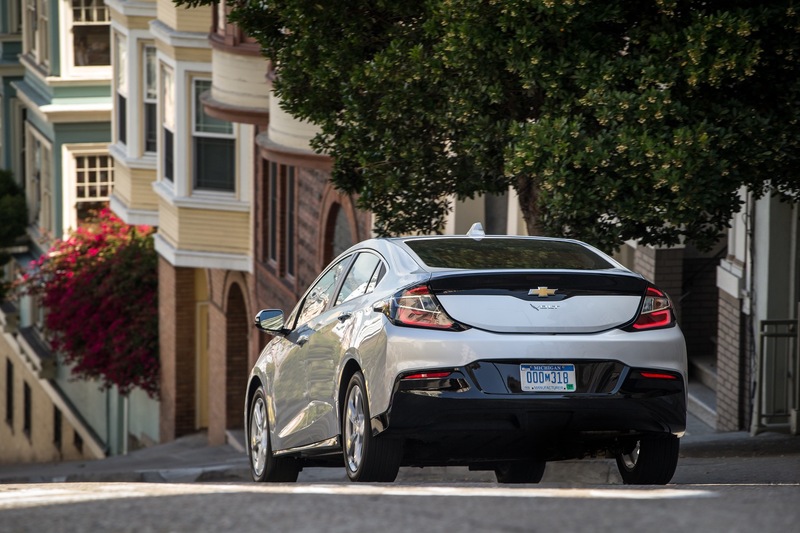 In the United States, Chevrolet Volt deliveries totaled 5,063 units in Q4 2018, an increase of about 1 percent compared to 5,001 units sold in Q4 2017. 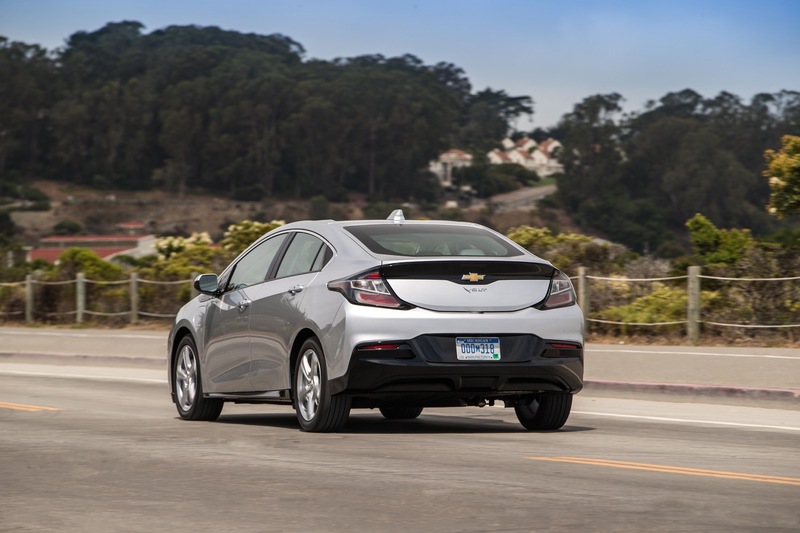 During the complete 2018 calendar year, Volt sales decreased about 10 percent to 18,306 units. 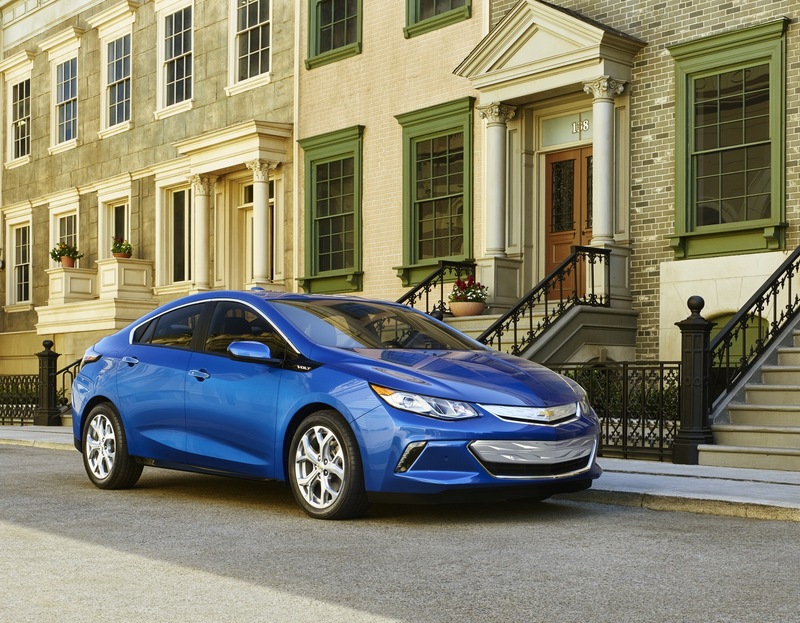 In Canada, Chevrolet Volt deliveries totaled 658 units in Q4 2018, a decrease of about 35 percent compared to 1,006 units sold in Q4 2017. 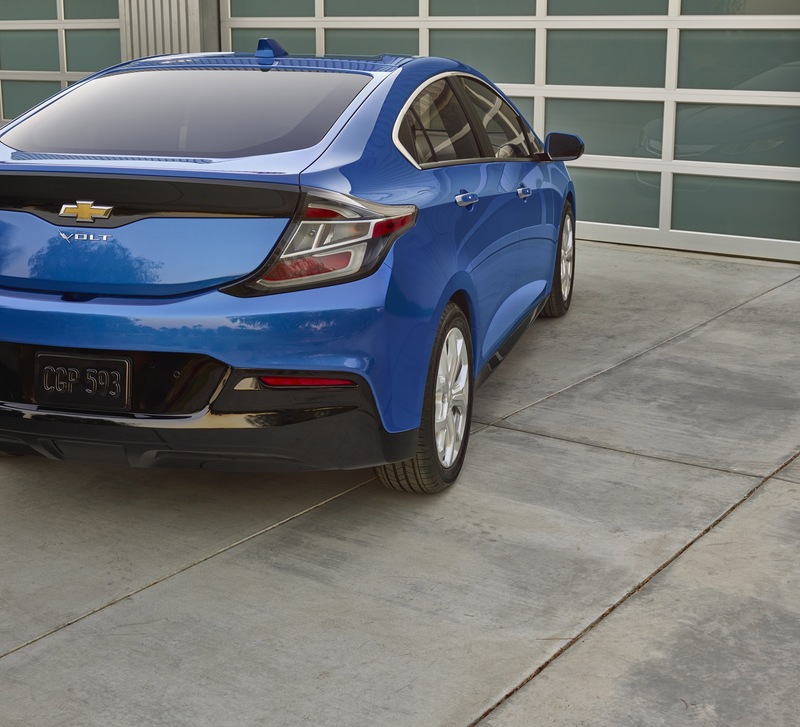 During the complete 2018 calendar year, Volt sales were flat at 0 units. 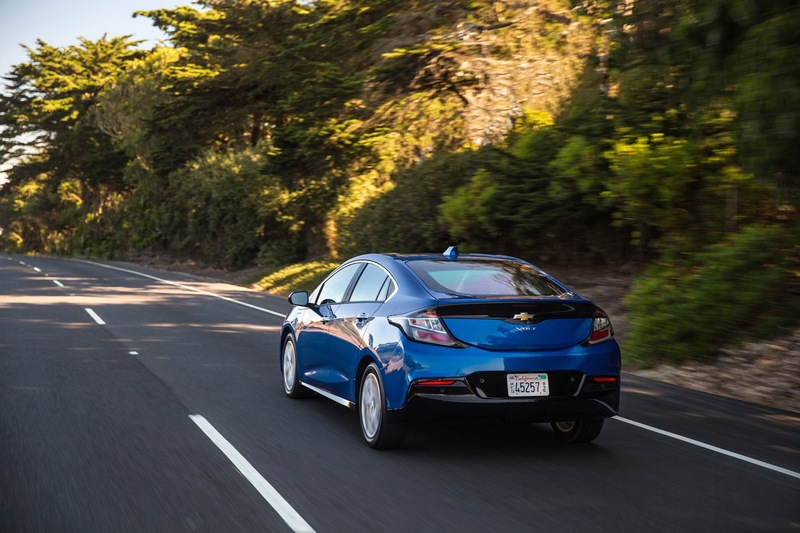 In Mexico, Chevrolet Volt deliveries totaled 3 units in Q4 2018, a decrease of about 57 percent compared to 7 units sold in Q4 2017. 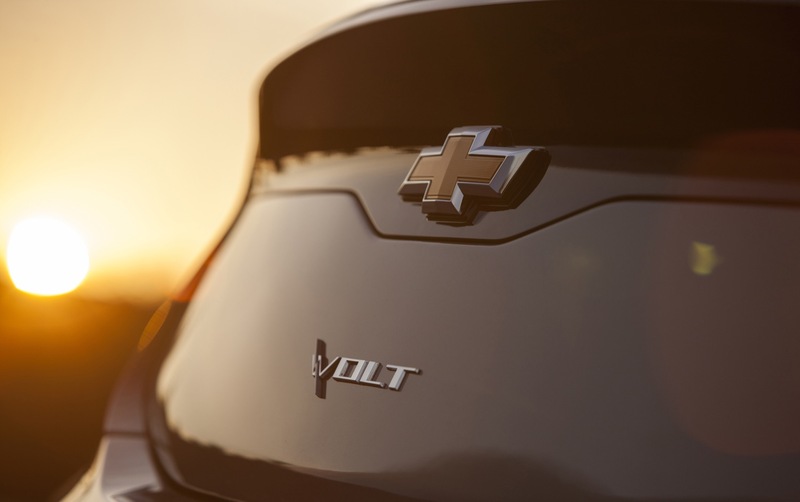 During the complete 2018 calendar year, Volt sales decreased about 6 percent to 34 units. 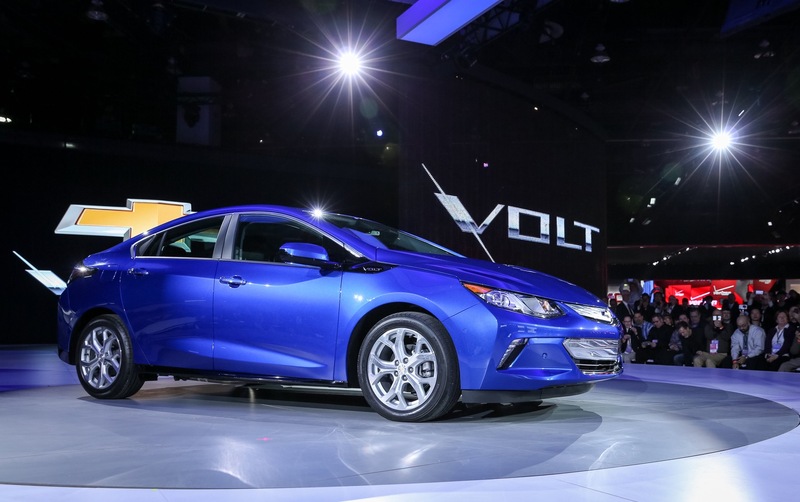 During the complete 2018 calendar year, Volt sales increased about 167 percent to 160 units. 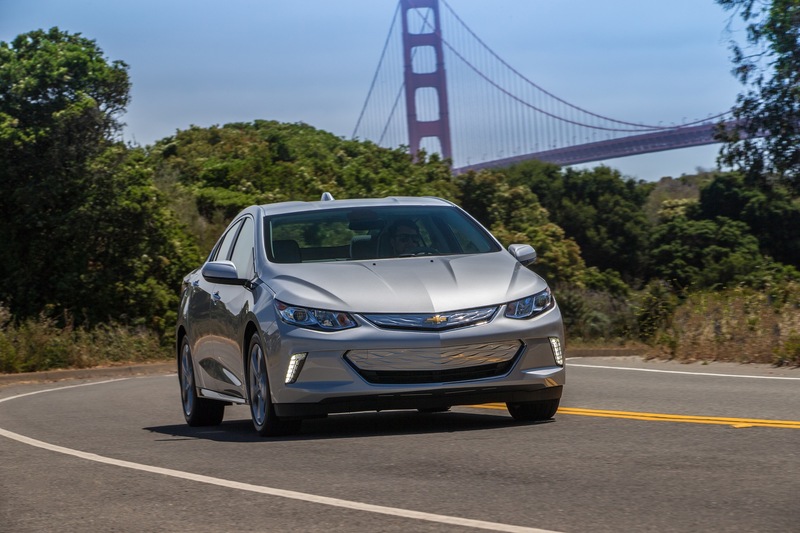 Chevy Volt sales performance during Q4 2018 places it into fifth place among its competitive set, behind the Toyota Prius, Honda Clarity, Chevy Bolt EV, and the Honda Insight. 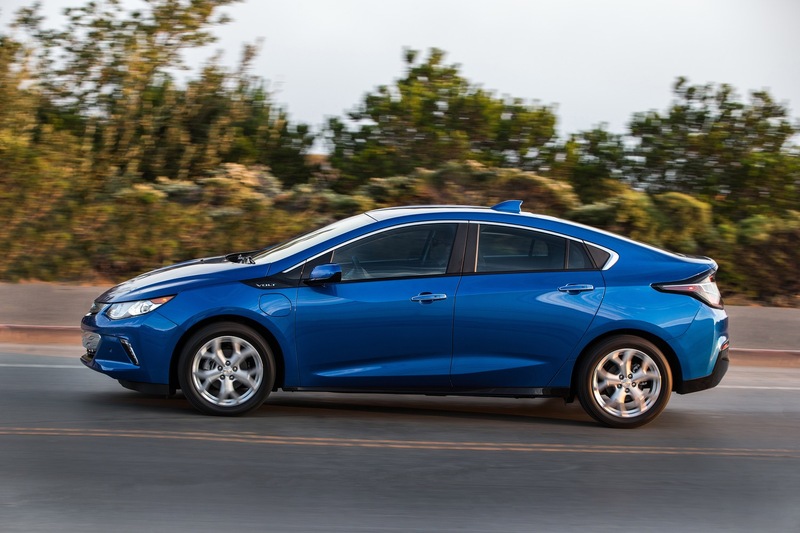 However, it’s important to note that the Prius and Clarity have a notably broader lineup than the Volt, a circumstance that naturally causes higher sales volumes. 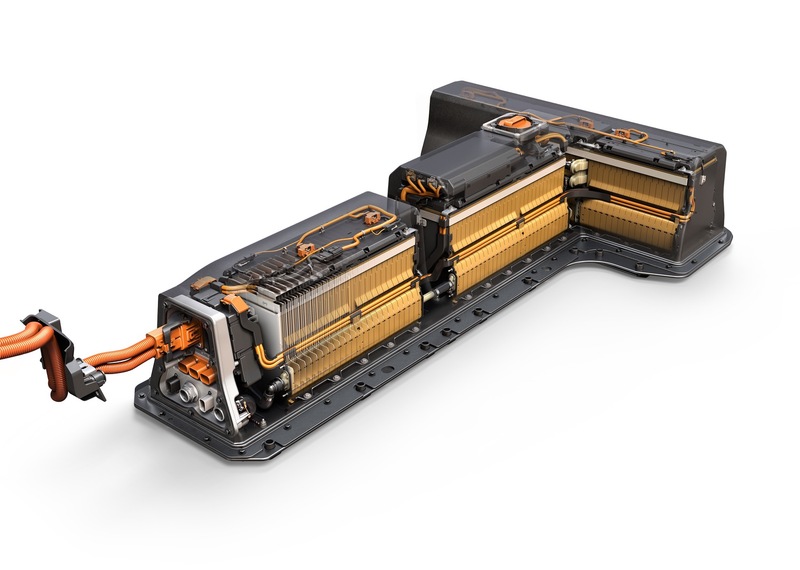 Honda Clarity is offered in one body style but with plug-in hybrid, pure electric and fuel cell powertrains. 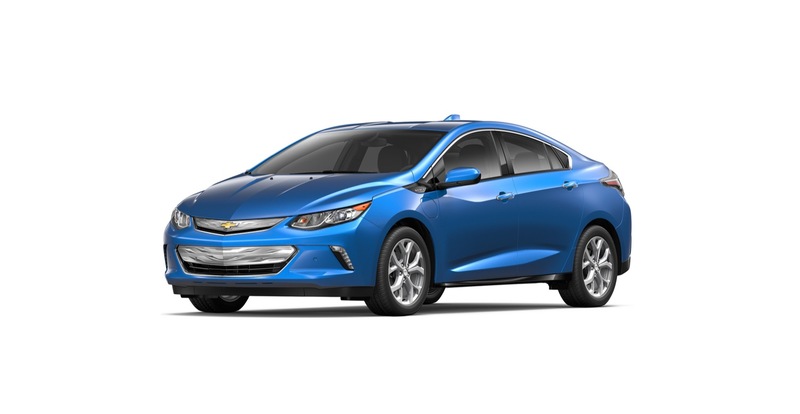 As such, some of these models have lesser powertrains, and therefore have prices that are roughly $10,000 lower than that of the Volt. 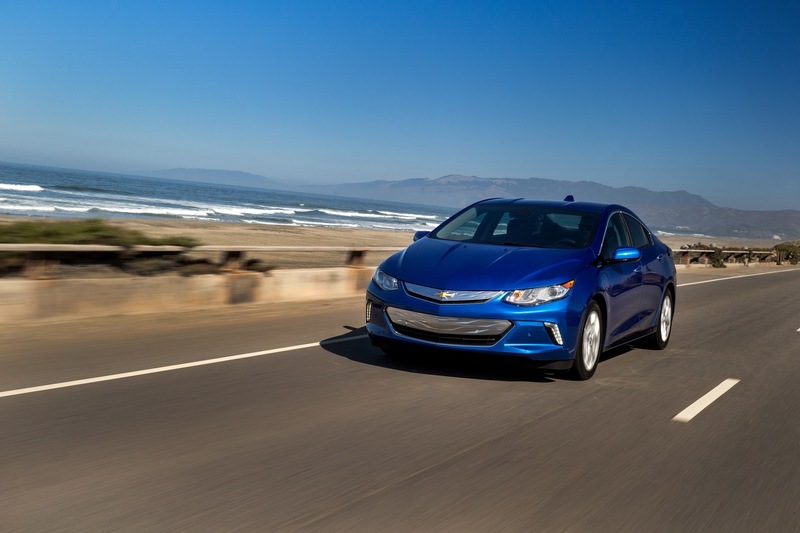 Nevertheless, the Volt’s 1 percent sales growth represents an uptick as its primary rivals – the Prius and BMW i3 – saw sales volume decrease. 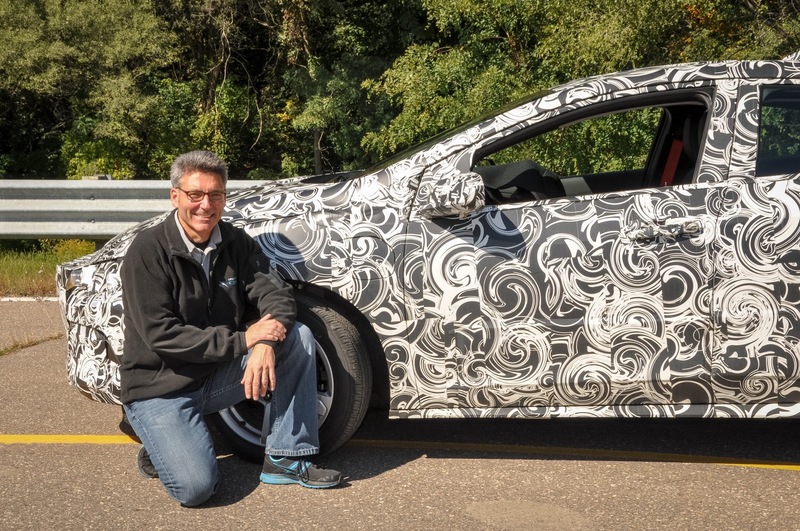 It would appear that the Honda Clarity and Insight are taking the segment by storm, and are single-handedly causing sales of rival models to falter. 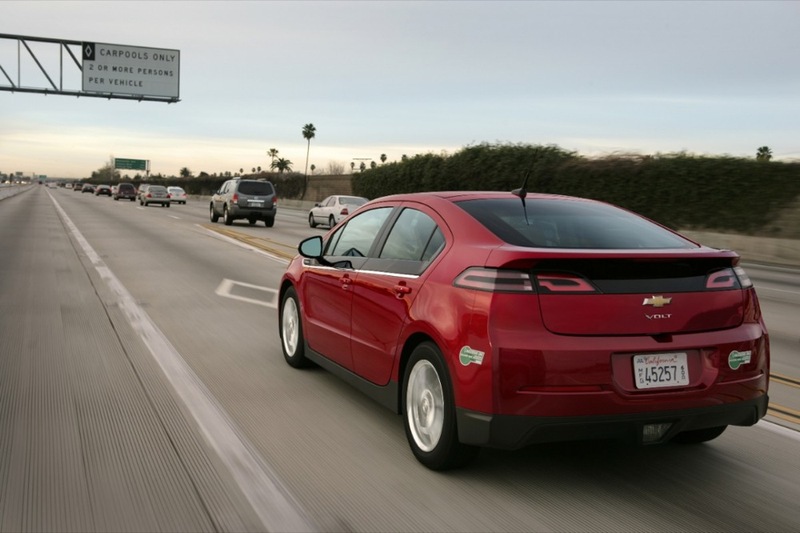 Overall sales volume of mainstream alternative energy vehicles increased 18 percent in Q4 2018 and 3.5 percent during the complete 2018 calendar year. 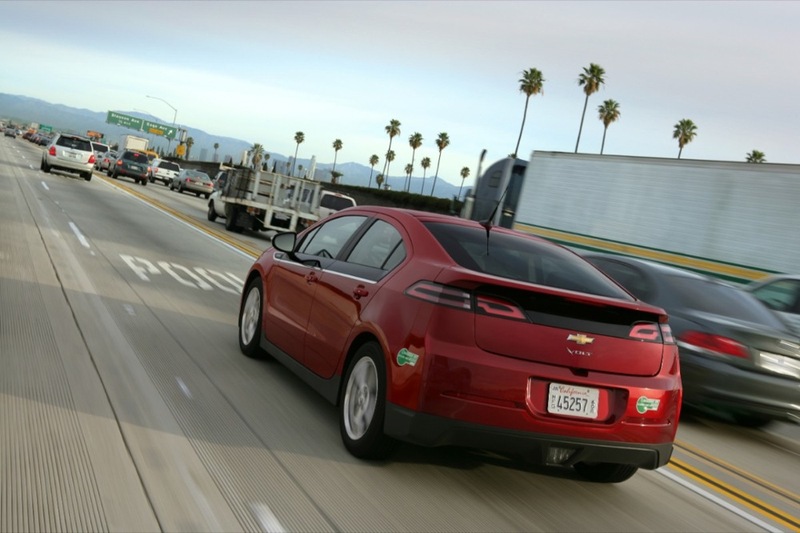 The meager sales volume and adoption rate of new energy vehicles is concerning to many automakers, suppliers and observers – as projections for their sales have not correlated with real-world sales performance. 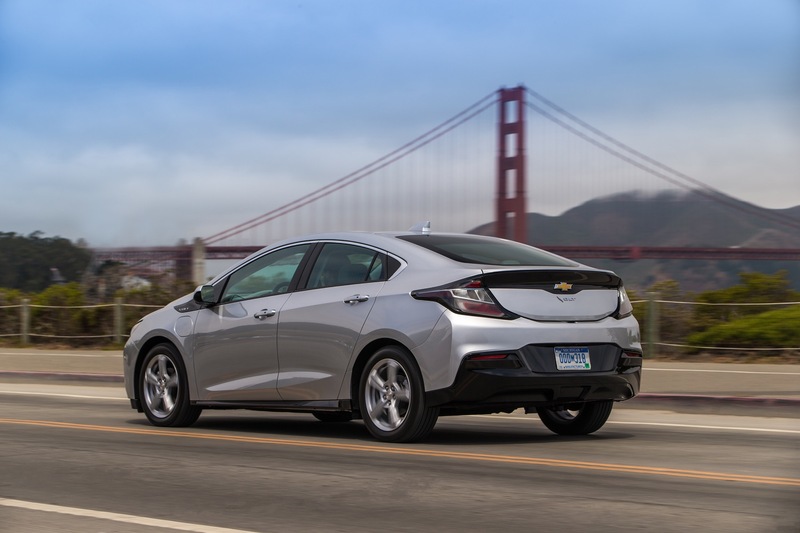 The Volt significantly underperformed its segment during the fourth quarter, while being beat by Honda’s two relatively new Insight and Clarity on one end of the spectrum, and by the new Nissan Leaf and Hyundai Ioniq family on the other end. 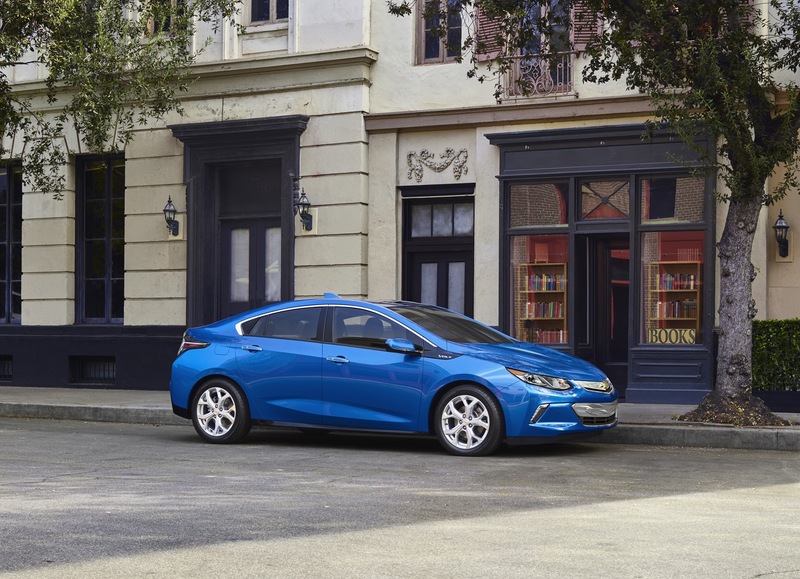 Ultimately, the Volt – in its current form – finds itself in something of a no-man’s land: it’s no longer the most technologically advanced or the most stylish offering in its segment, nor is it the most affordable or the cheapest. 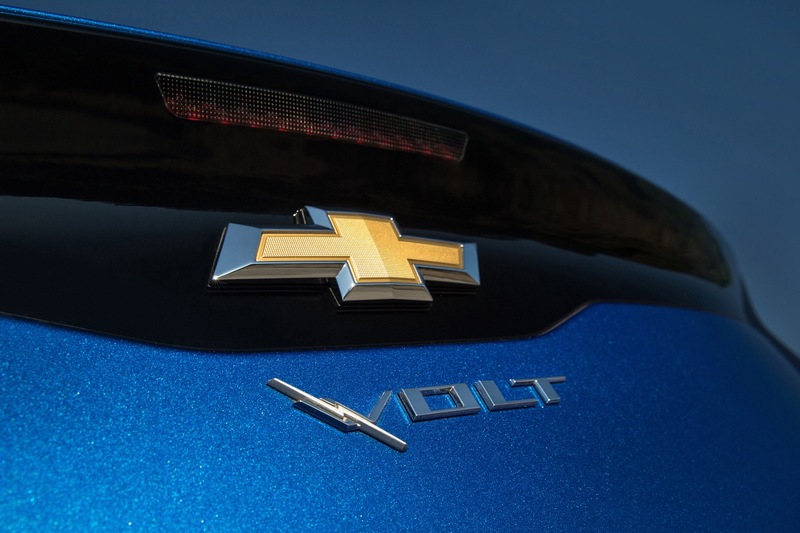 All that works against Chevy Volt sales volume. 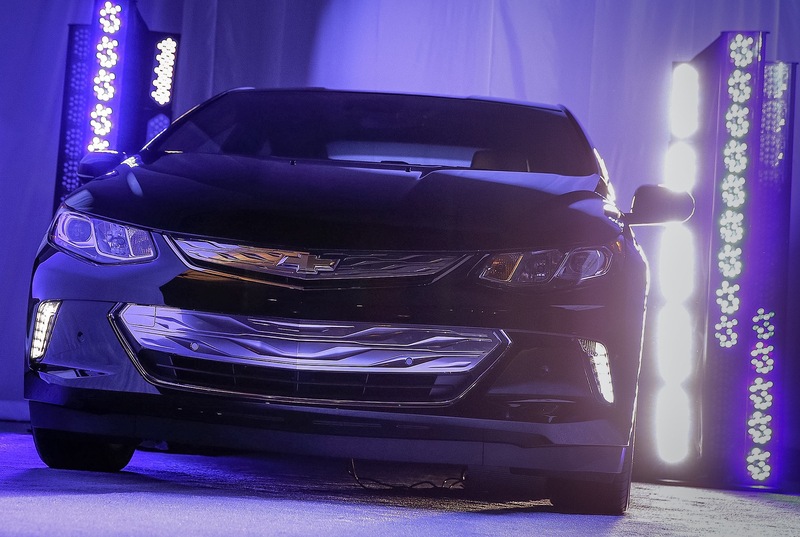 Exacerbating that circumstance is GM’s announcement that the model will be discontinued in the near future. 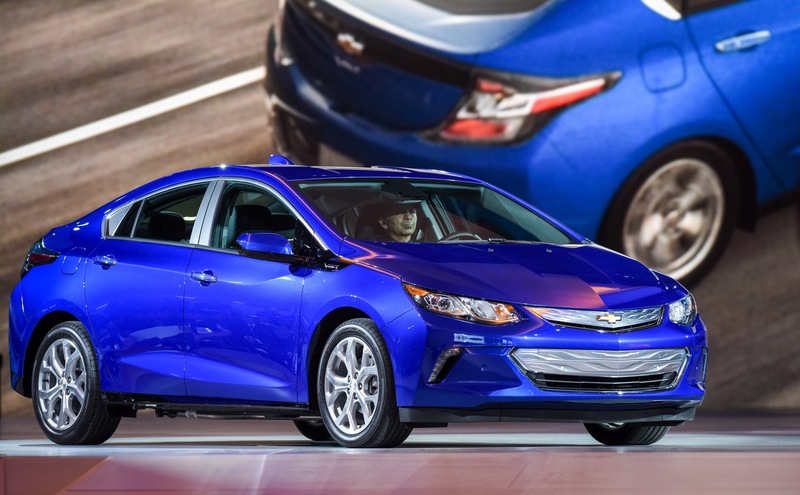 All in, Q4 2018 was rather sad for the Chevy Volt. 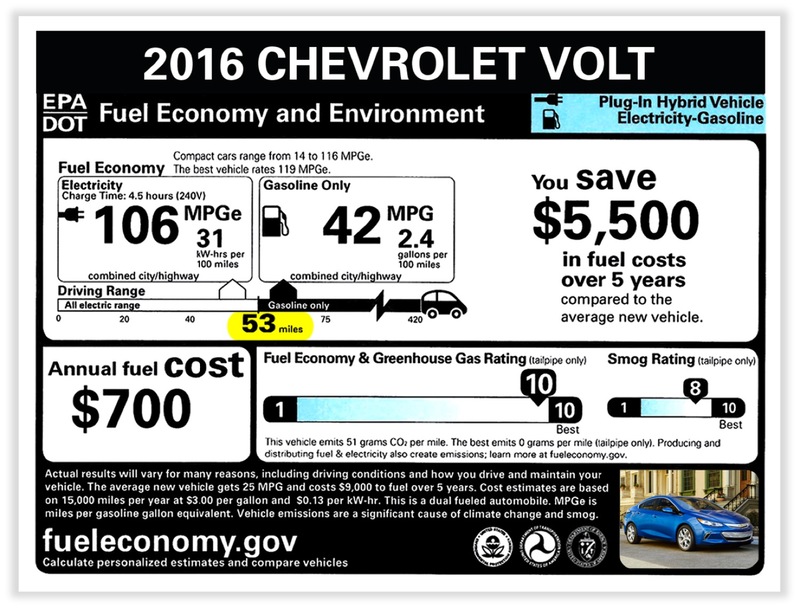 Worse, we don’t see the situation changing in the near future… which is a big shame, given how great a vehicle the Volt is. 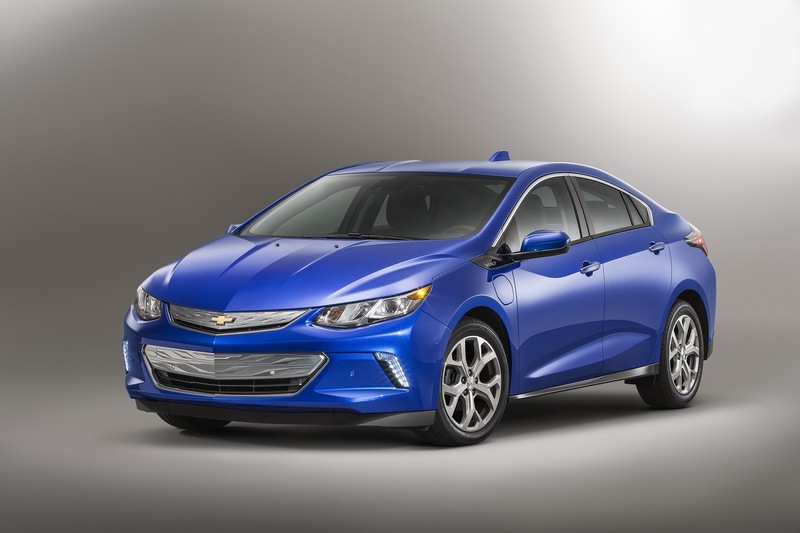 The Chevrolet Volt is an extended-range electric vehicle (EREV). 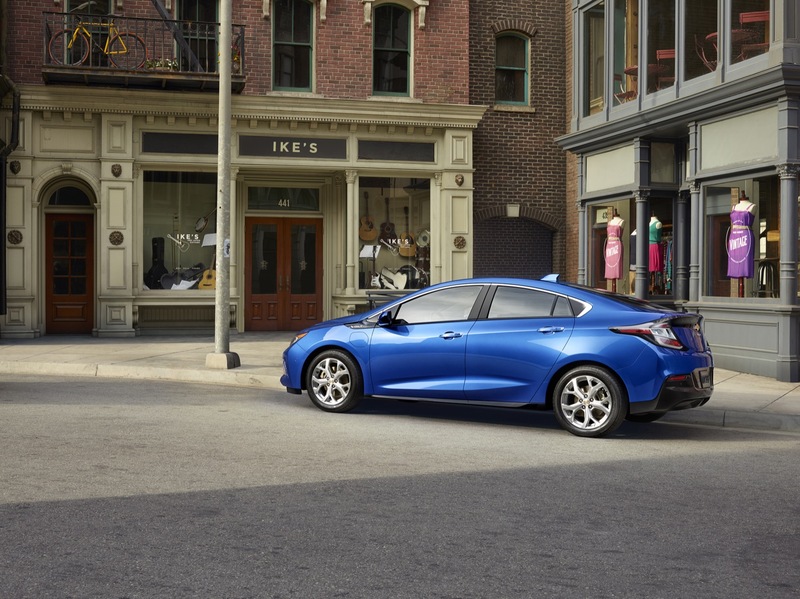 The first-generation model was introduced for the 2011 model year. 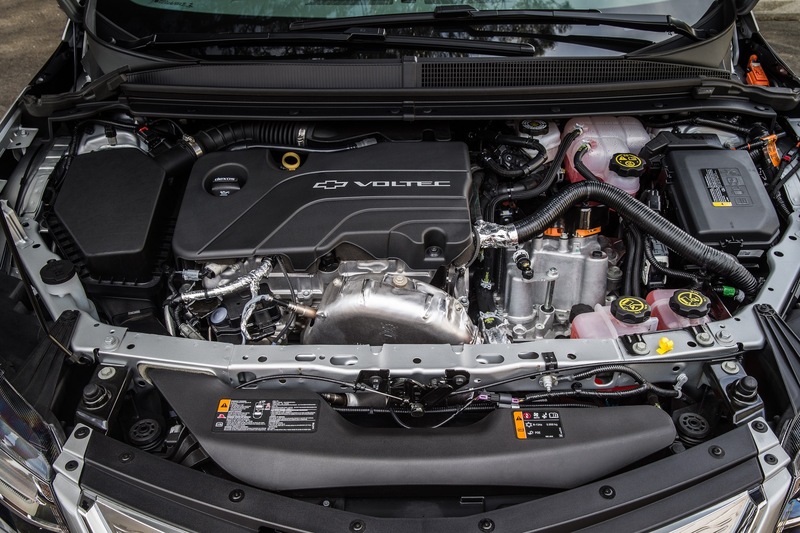 It rode on a variant of the GM Delta II platform shared with the first-generation Chevrolet Cruze and Buick Verano (sold in Europe as the Opel/Vauxhall Astra J) and was powered by the first-generation Voltec propulsion system, consisting of a 5.5-foot, 435-pound (198.1 kg) T-shaped, 16-kWh lithium-ion battery pack that sends energy to an advanced 111-kW (149-hp) electric drive unit to propel the vehicle. 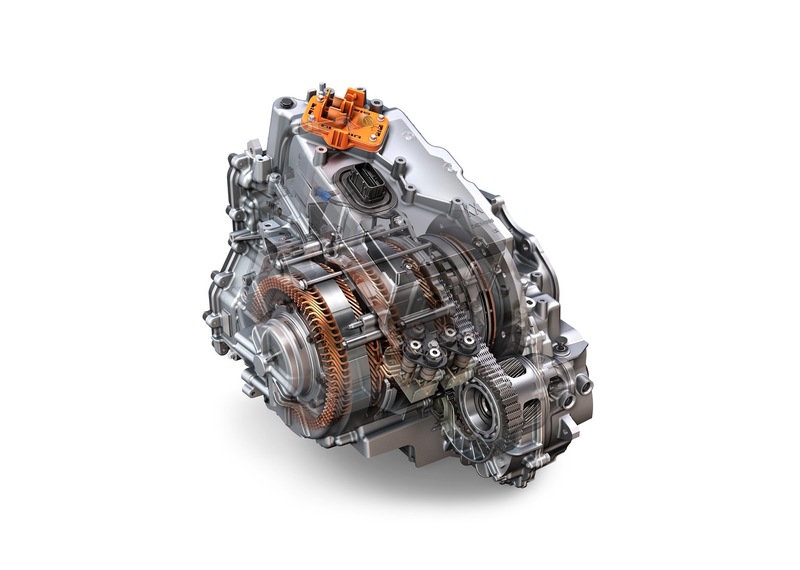 This delivered a pure electric driving range of between 25 and 50 miles, depending on terrain, driving techniques and temperature. 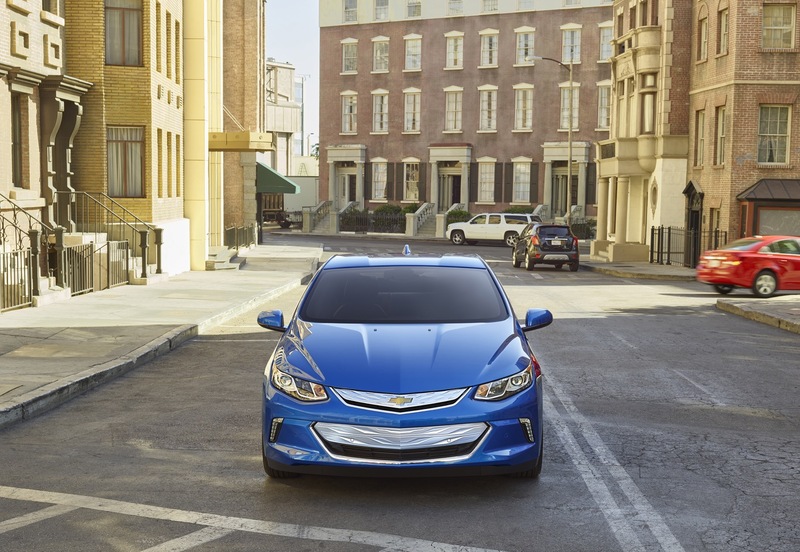 When the battery energy is depleted, the Volt seamlessly transitions to extended-range mode. 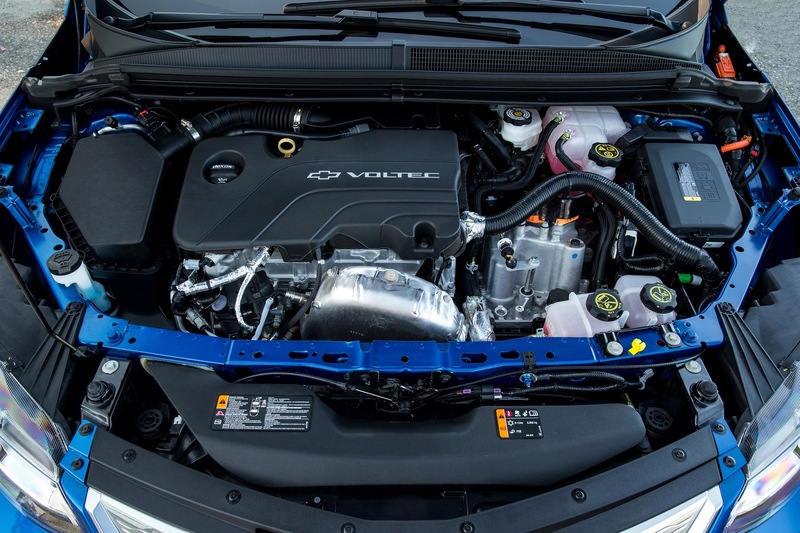 Power is inverted from a 1.4L 63 kW (84 horsepower) gasoline-powered onboard engine to the electric drive unit to provide up to 344 additional miles of range, for a total range of 379 miles. 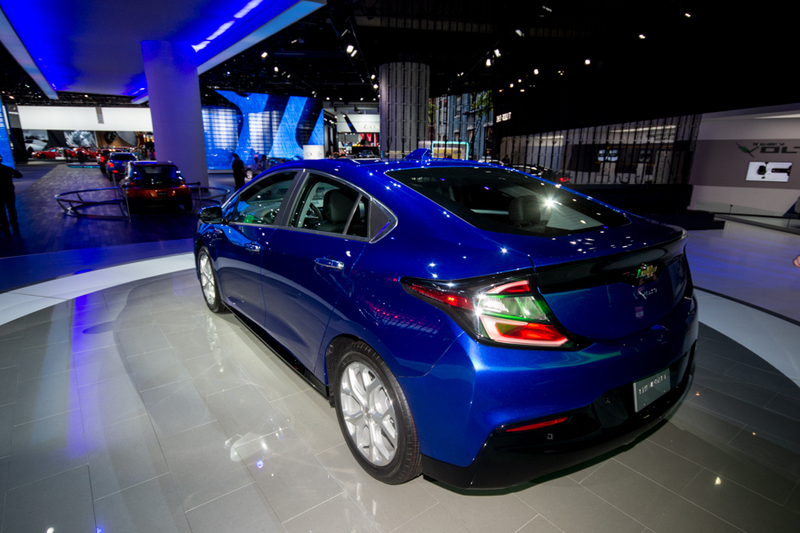 The first-generation model ended production for the 2015 model year, at which point it was replaced by the current, second-generation model starting with the 2016 model year. 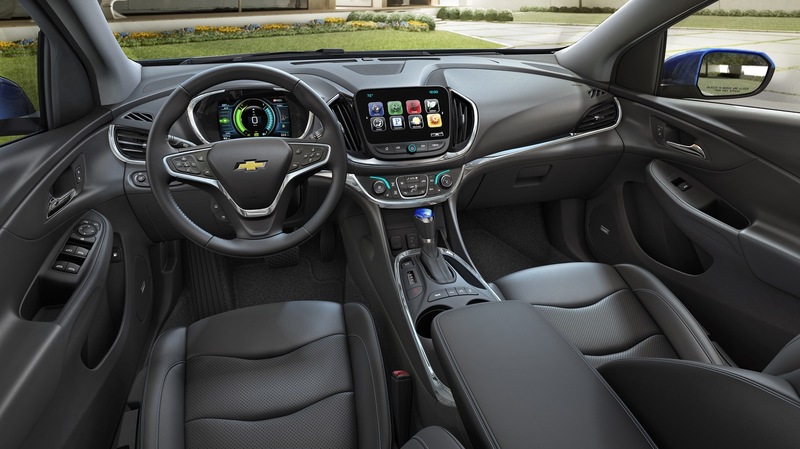 Riding on the GM D2 platform, the second-generation Volt is powered by the second-generation Voltec electric drive system that consists of an 18.4-kWh lithium-ion battery pack and an Ecotec 1.5L gas-powered range extender that delivers 53 miles of EV range and 420 miles total driving range. 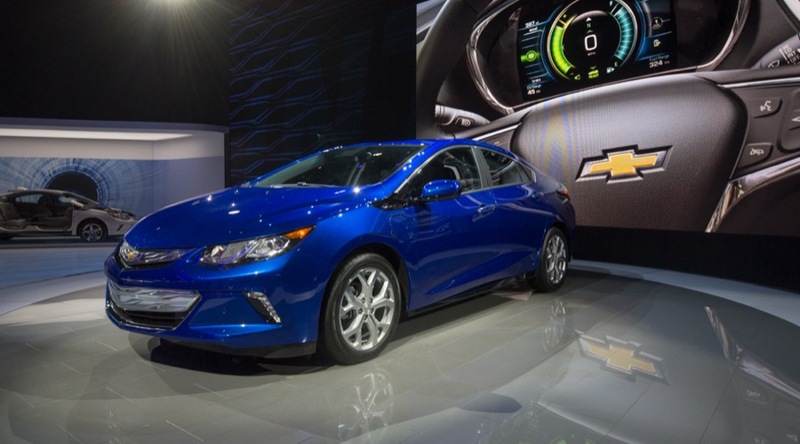 The 2018 Chevy Volt represents the third model year of the second-generation Volt. 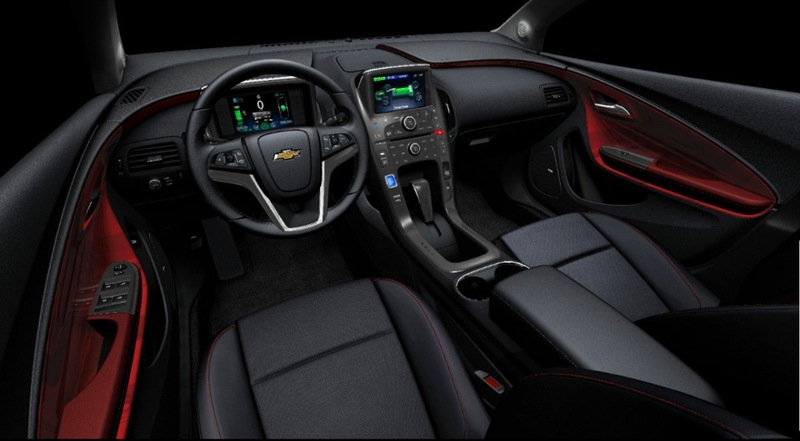 It gets three new colors, the replacement of leather for vinyl on the steering wheel and shift knob cover on the LT model (leather-wrapped versions are optional), and the introduction of a new optional Driver Confidence Package on the LT trim level that consists of Rear Park Assist, Rear Cross-Traffic Alert and Side Blind Zone Alert. 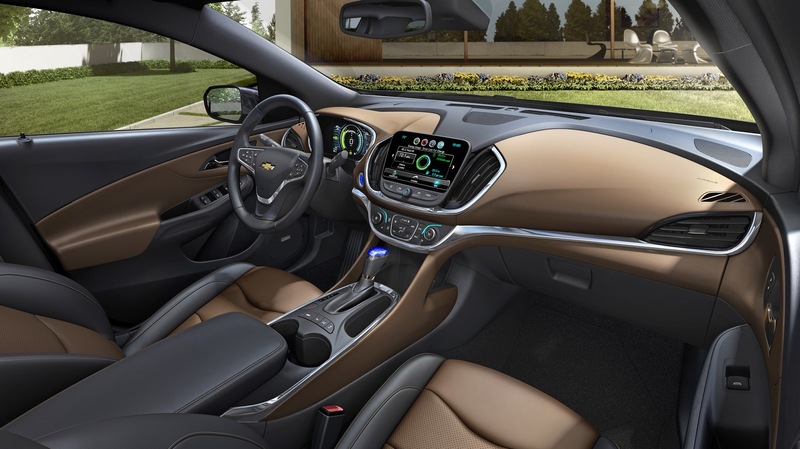 For the 2019 model year, the Volt receives several notable changes, including two new exterior colors, improvements to the interior in the form of new infotainment systems, better power seat adjusters, new patterns for cloth seat fabrics, and - perhaps most notably - a new 7.2 kW high-voltage charger. 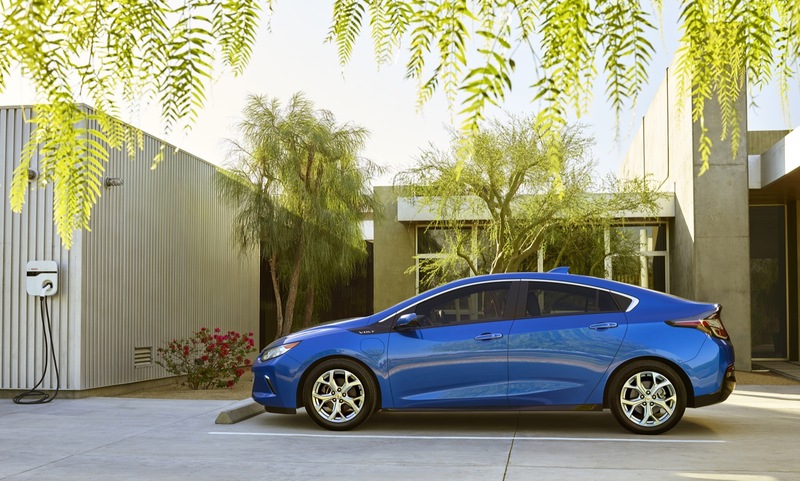 Both generation of the Chevrolet Volt have been built exclusively at the GM Detroit-Hamtramck factory operated by GM USA. 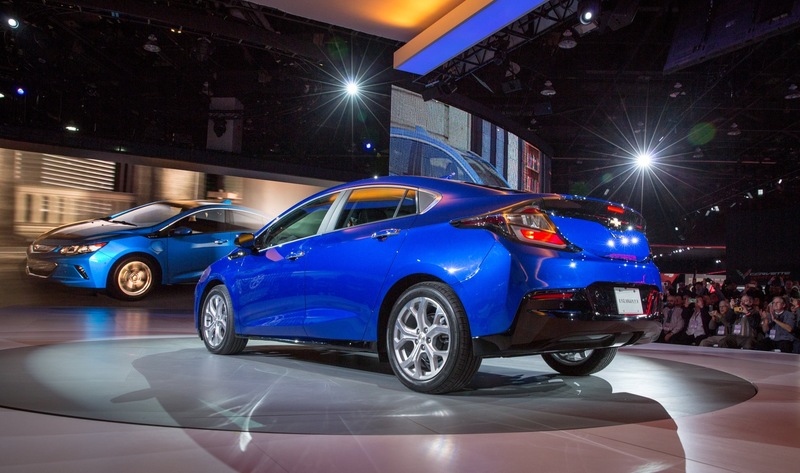 Starting in 2017, the second-generation model is sold in China as the Buick Velite 5. 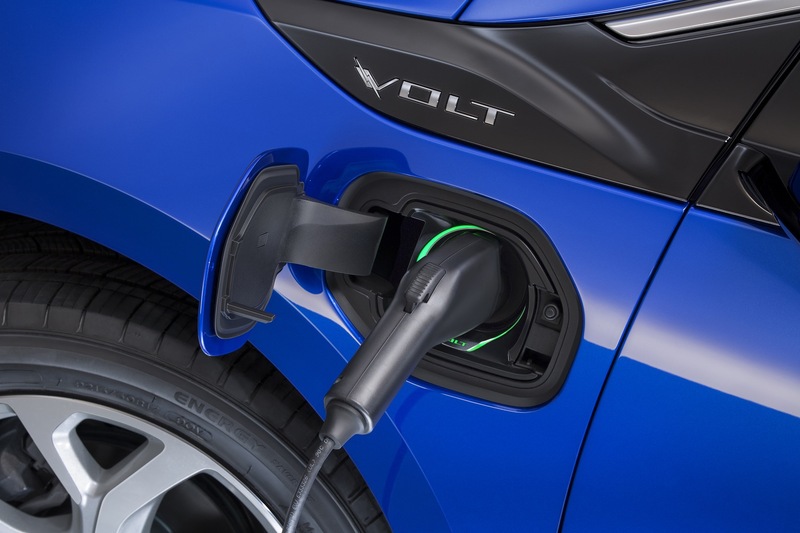 Industry rumblings have suggested that the Volt will exit production in 2022 and be replaced by a crossover utility vehicle with the Voltec powertrain. 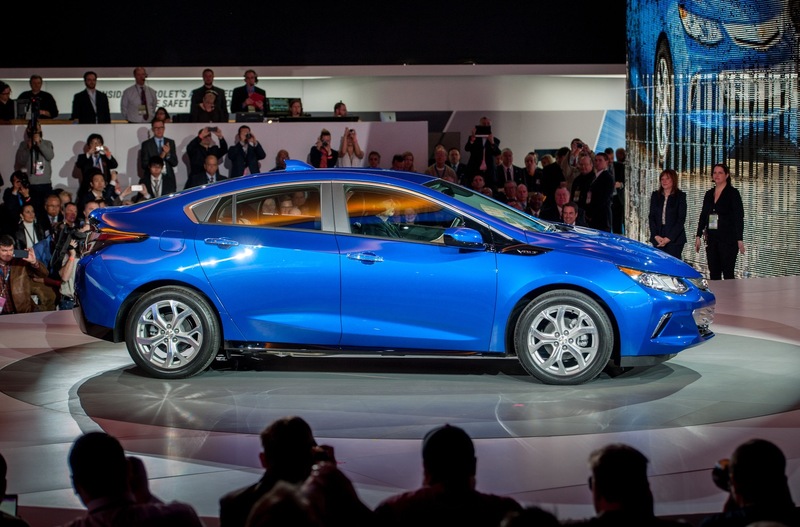 Then, in November 2018, GM announced plans to discontinue the Volt and shutter the Detroit-Hamtramck plant where it is built. 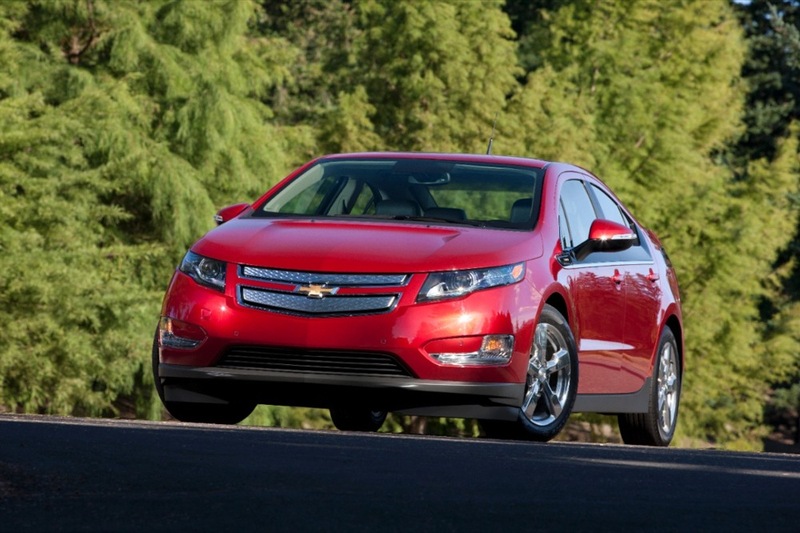 The Volt outsells the Bolt. 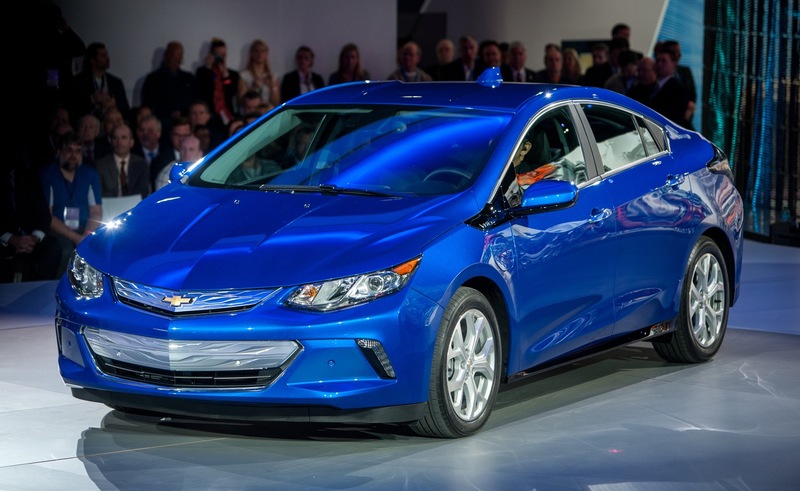 So GM should kill the Bolt first and then concentrate on Volt technology as a lower cost alternative while Tesla remains leader and money maker in the Electric spectrum. 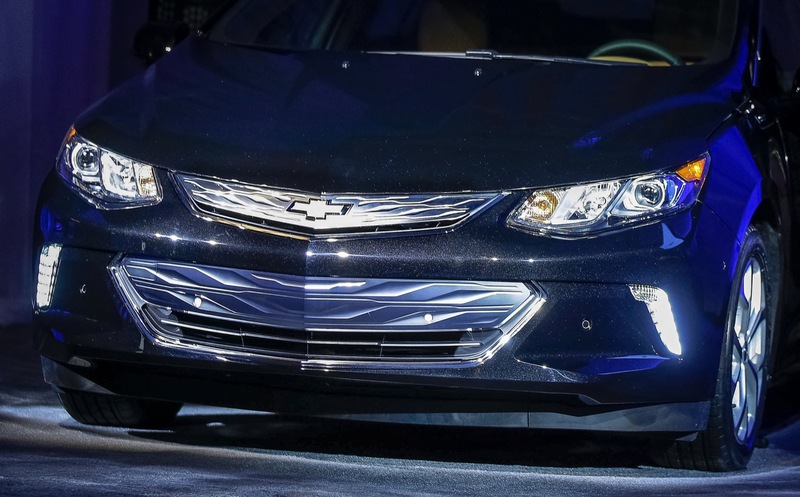 Members of our community here, as well as, moderators here need to preference sales figures for all cars in that announcement such as the La Crosse, XTS, and Impala, as GM decided to hurt their own models and brands without considering importing such vehicles from China (both La Crosse and CT-6 continue in China) or Mexico. We can exclude CT-6 due to reversal announcement. Cadillac needs to do an ad for the car and they should show the lower priced model. The La Crosse should also be considered for importation to Australia and that is the car that should be called “Commodore” with a 3.6 V6. 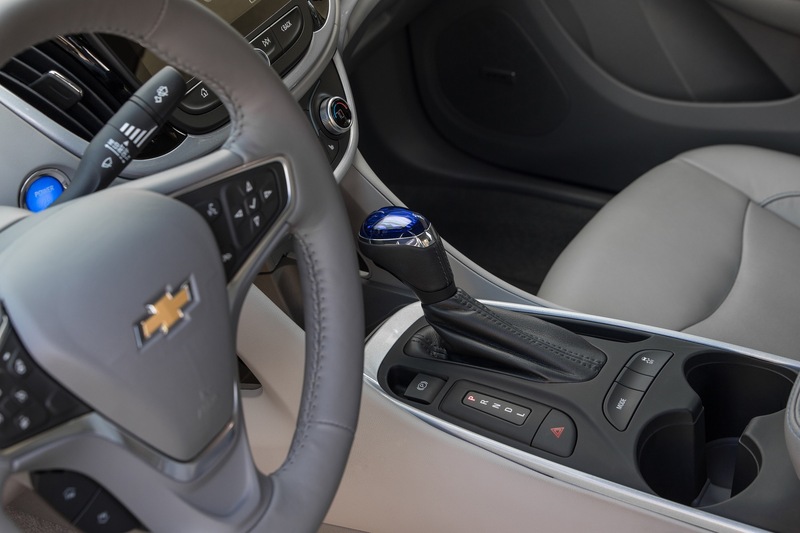 GM will have to suffer financially before shareholders and management figure out that the automaker has been mismanaged since the bailout as the long term strategy was not consistent with market realities. Joseph: Great post. 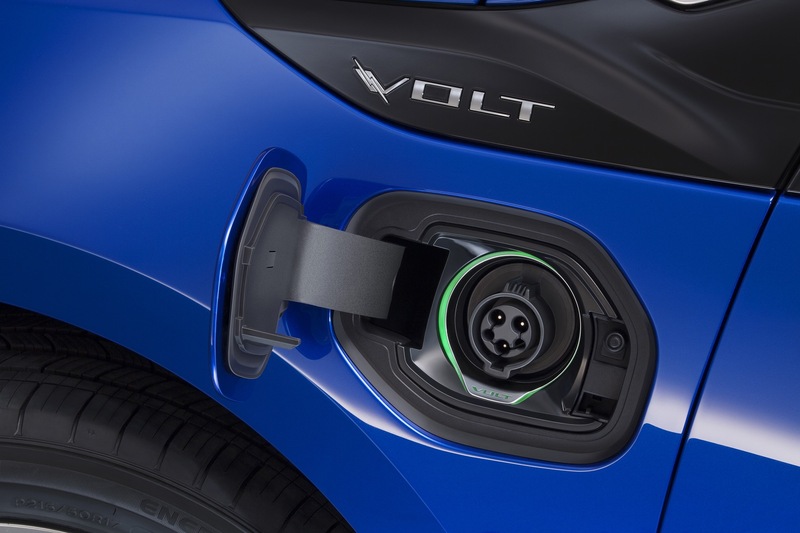 I agree on the value of the Volt; I think the Bolt may kill itself once people begin to figure out the charge time and range limitations, except for mostly urban use. 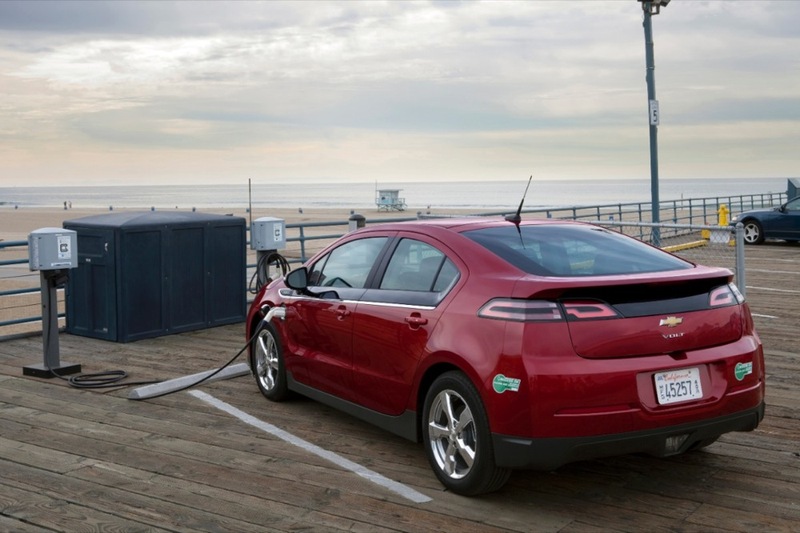 Even then its survival will depend on available and convenient charging outlets where people live and work. 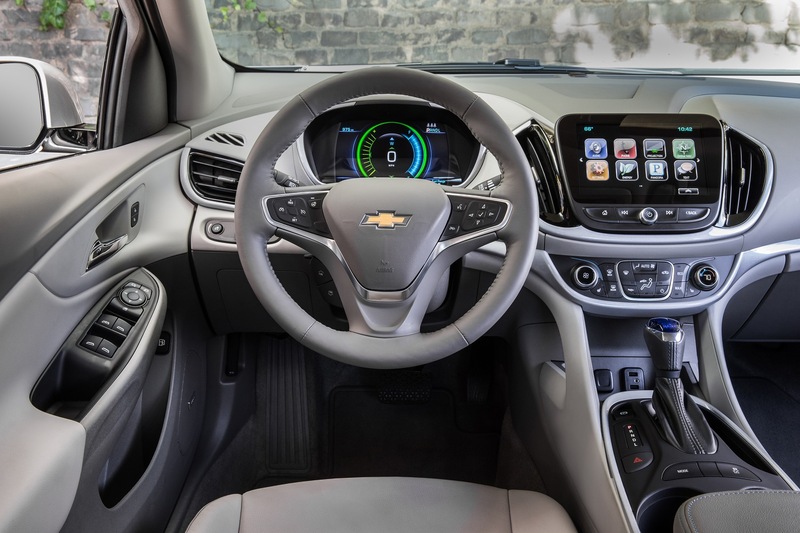 The Volt is much better suited to today’s suburban market, but GM’s market plan may be more tilted towards the urban shared car/ride market, even their dream of the autonomous vehicle market, if it will ever really exist in the USA. In China, who knows? I especially like the comment re the sedan vs SUV argument. I also believe that sedans, like the minivan, were and are being killed by subtle advertising propaganda more than most people’s real needs or aesthetic desires. All in the hope of higher per unit profits, which will always prove to be elusive in the long run. The blind zone alert needs to include the windshield! 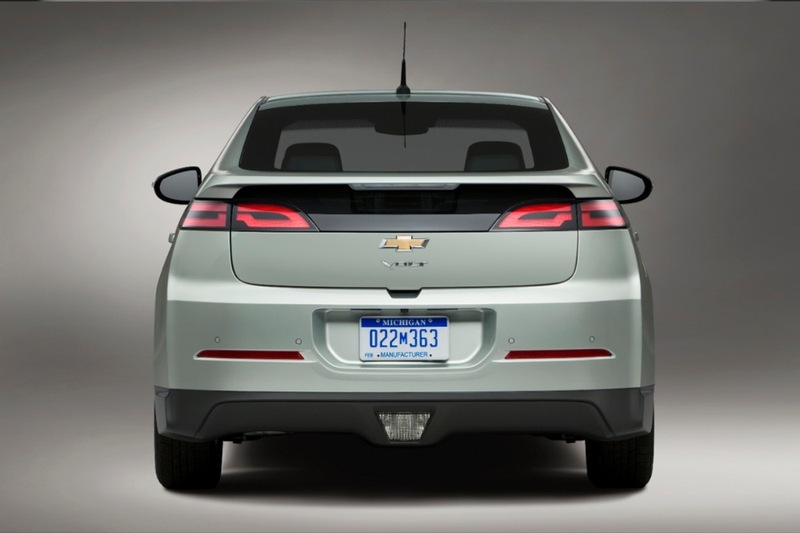 Damn, look at those blind spots – Even worse than the our gen 1 which already is terrible. 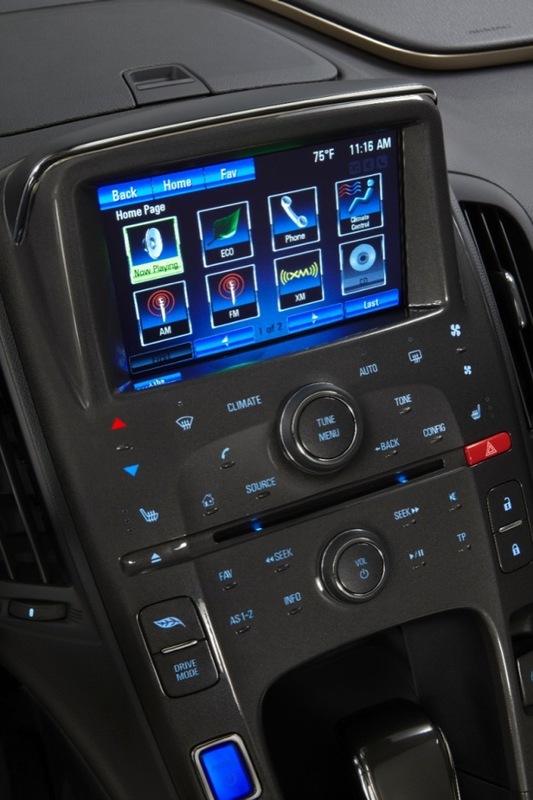 Maybe the fact that designers loosing the ability to create cars you can actually see out of is what’s driving the whole AV thing. What a ridiculous article, full of inappropriate comparisons, old news, and confusing data. 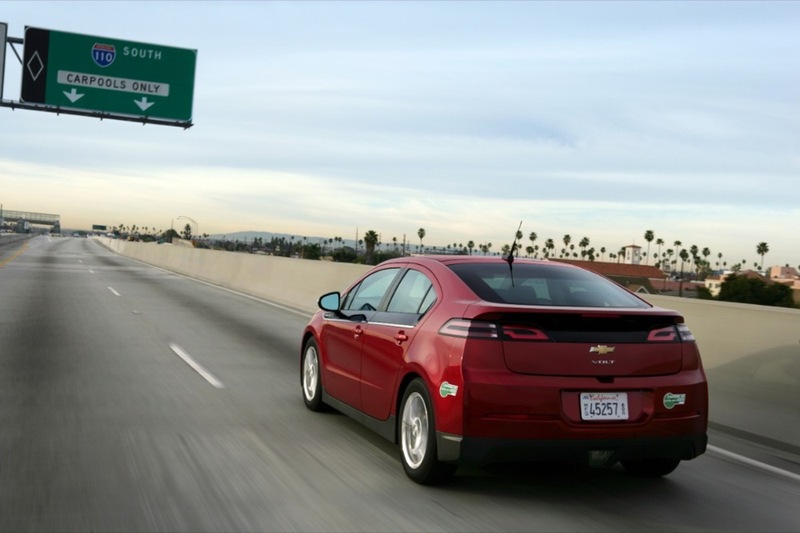 Come on, comparing it to any (and all) of the pathetic Priuses, what a joke! 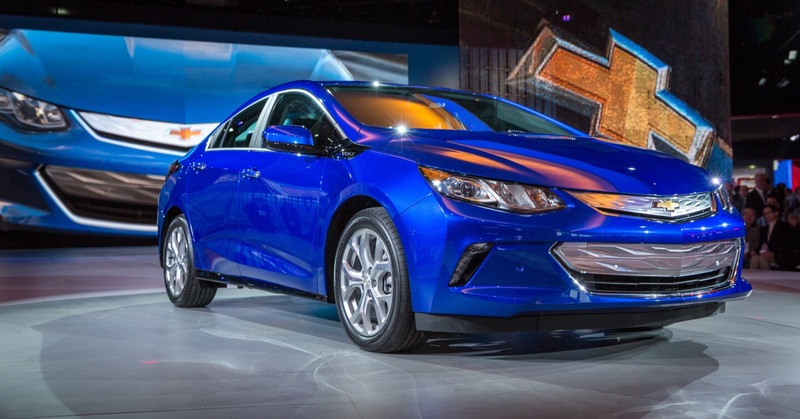 Considering all GM has done to kill the Volt, I’m surprised it is doing as well as it is. 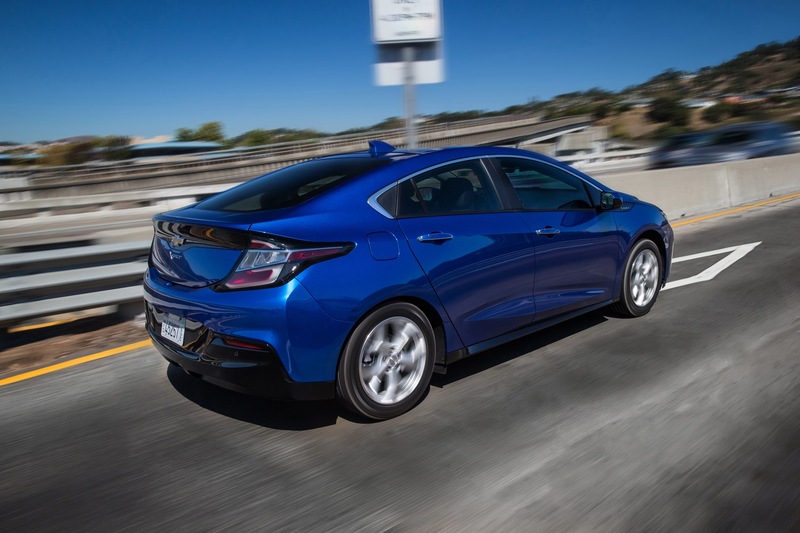 The only car listed that in any way compares to the Volt is the Honda Clarity, and the supposed GM website breathlessly announces that ” it is taking it’s segment by storm”; well no wonder, Honda actually markets and advertises it, even though its specs aren’t quite as good. 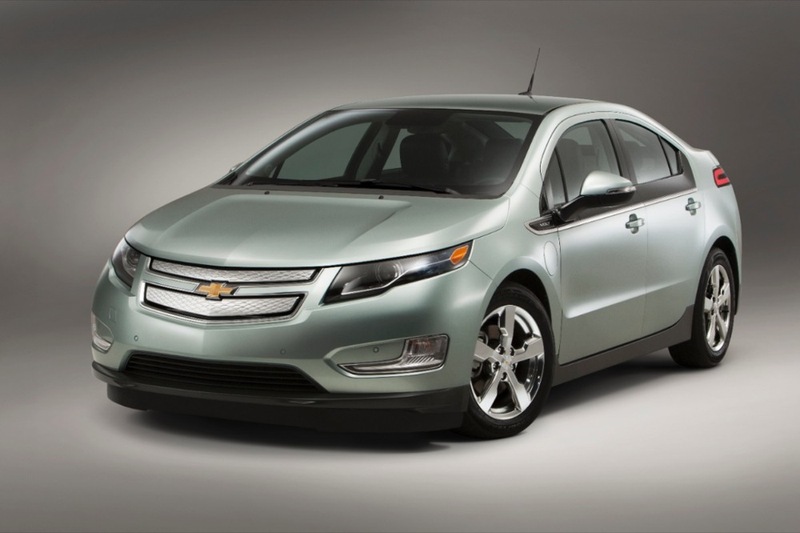 Just think how well the Volt could do if actually marketed instead of being “Discontinued”. 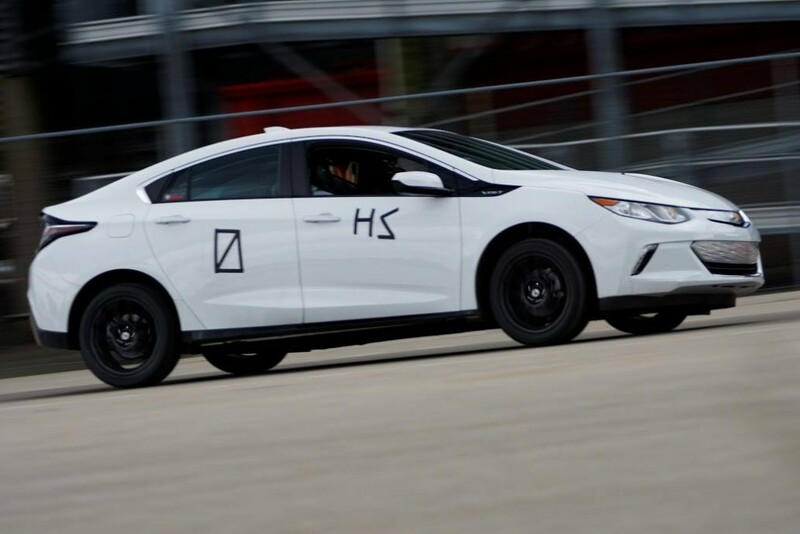 Do these articles come right out of Mary Barra’s press office? 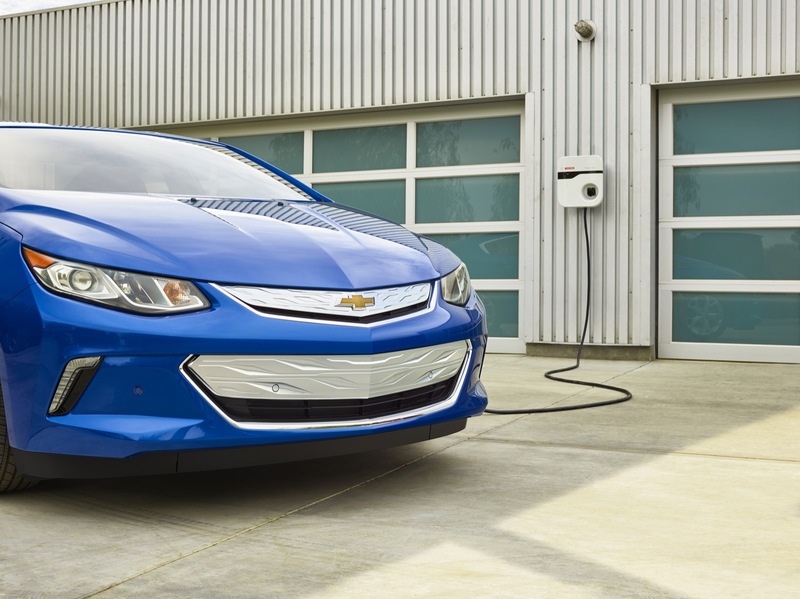 you could advertise all you want but nobody is going to pay nearly $40K for a volt. Sorry Steve, we did and we love it; what’s your problem? 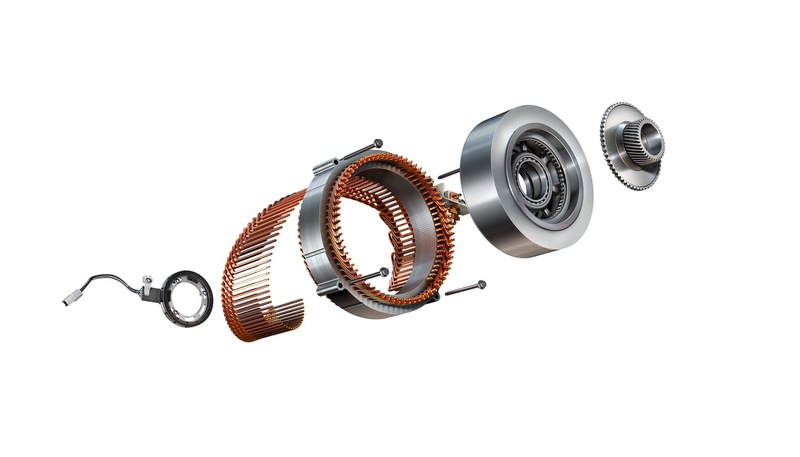 Or, are you one of the millions of people that are ignorant of what the Voltec technology really is and what its advantages really are? Perhaps proper advertising would have increased sales and eventually economies of scale might have allowed for price reductions, if required? no you didn’t. you received a $7500 tax credit so your price was more like $30K. 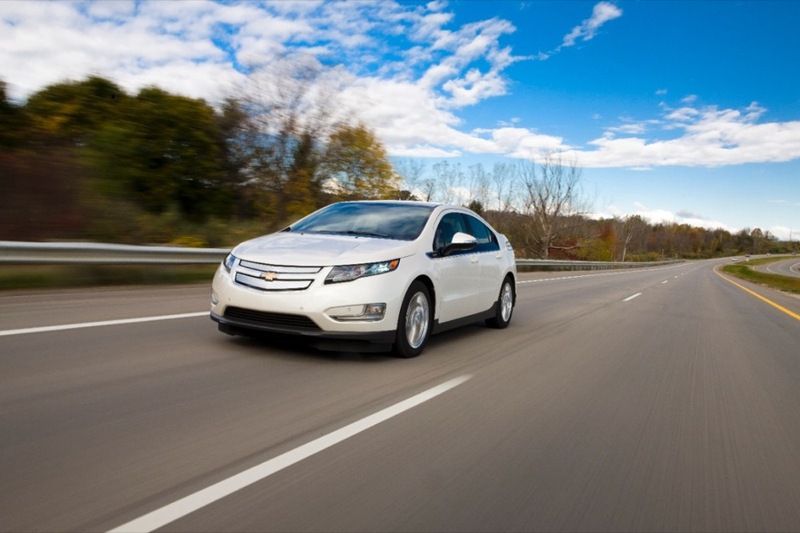 i’m not saying the volt isn’t an excellent vehicle. 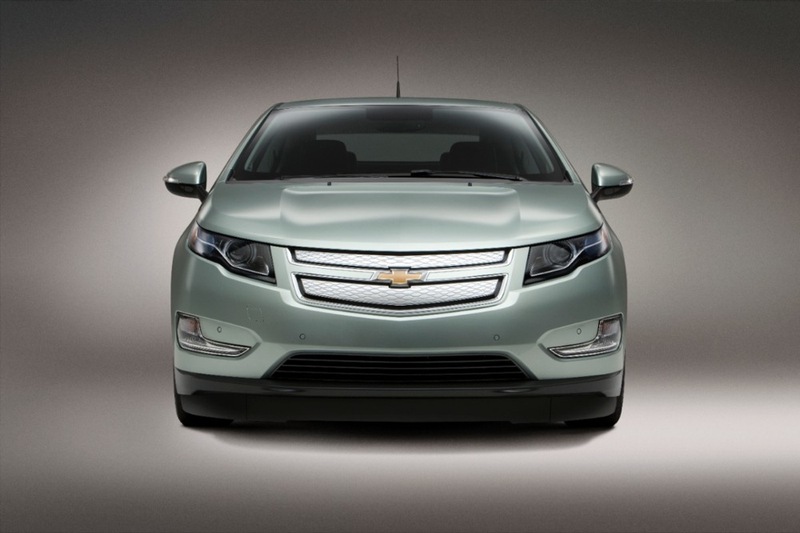 but if you think there is a market for the volt at nearly $40K while gas is cheap, that is wishful thinking. I have to agree with you to a point; we hoped to get the Tax Credit, and we did, though it was not guaranteed. 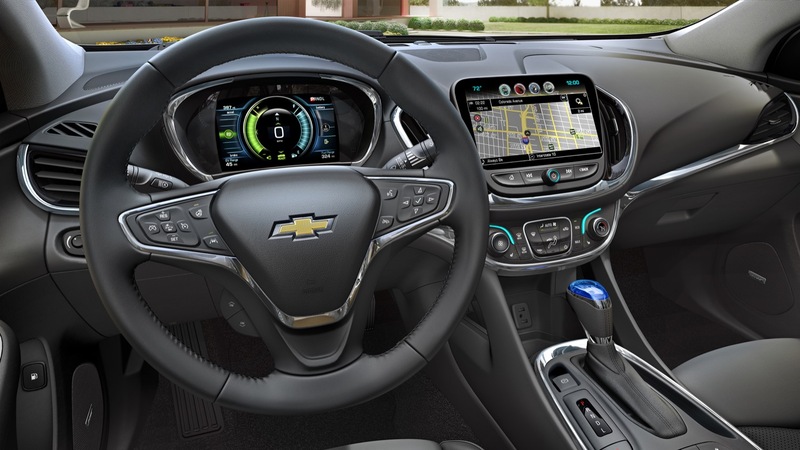 Our actual price (before the Tax Credit) was $37,320 including tax and title; and this was for the top of the line 2018 Premier edition. Not quite $40k. But my point is, once we drove it and understood what it is, we would have gladly paid the full price, without the tax benefit. 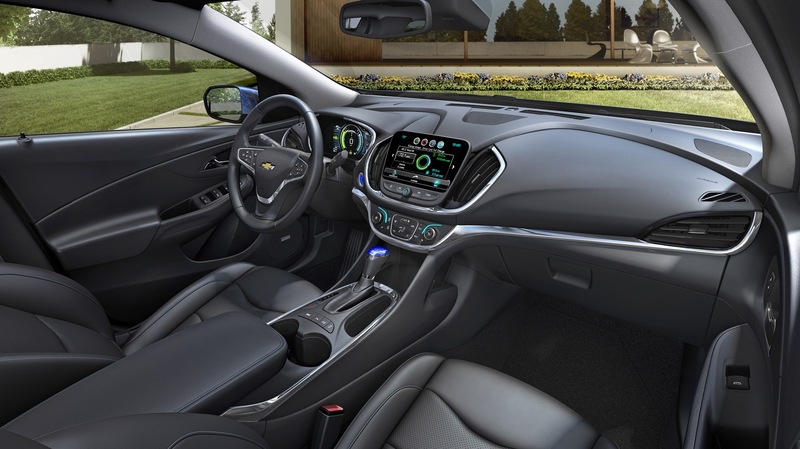 It was really not the price of gas that made the difference; it was the wonderful feeling of “driving electric” for 95% of our normal usage; and the added convenience of not having to “gas up” regularly, but with no “Range Anxiety” no matter what the price of gas. This good feeling we have should have been disseminated to the buying public through effective advertising. It seems that you have some kind of a twisted agenda to complain, criticize and belittle a perfectly informative article based on facts… while your feeble attempt at commenting is full of subjective perceptions and hot air, and devoid of tangible information. Do understand that the market in general does not think the way you do. 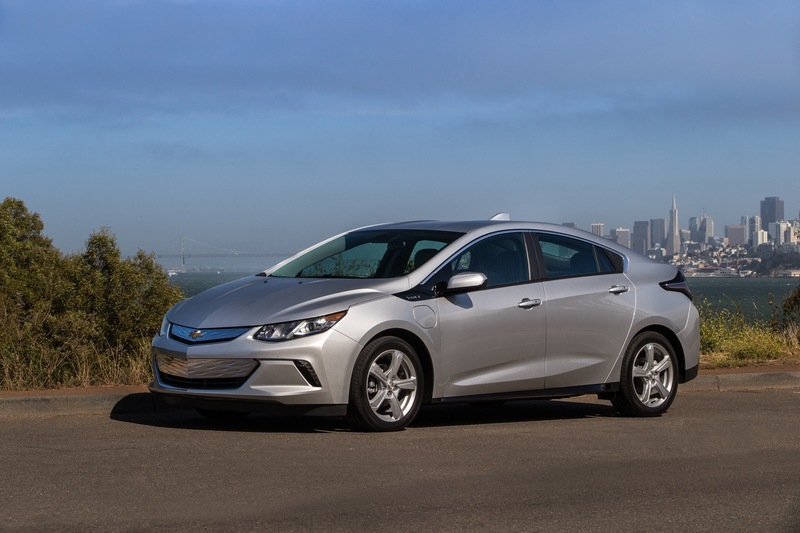 Specifically: while you might categorize the Volt as being in a certain segment, the market at large does not. 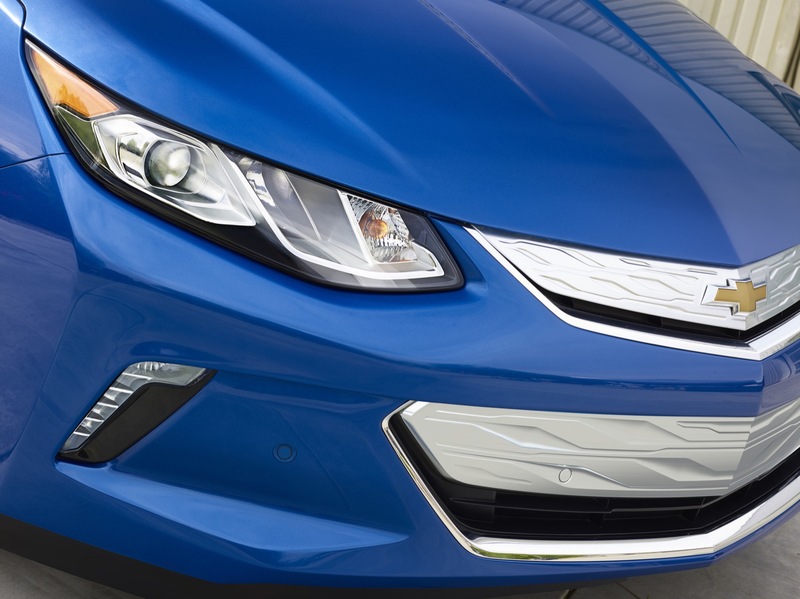 To the average buyer, the Volt is just another alternative energy vehicle… aka hybrid. 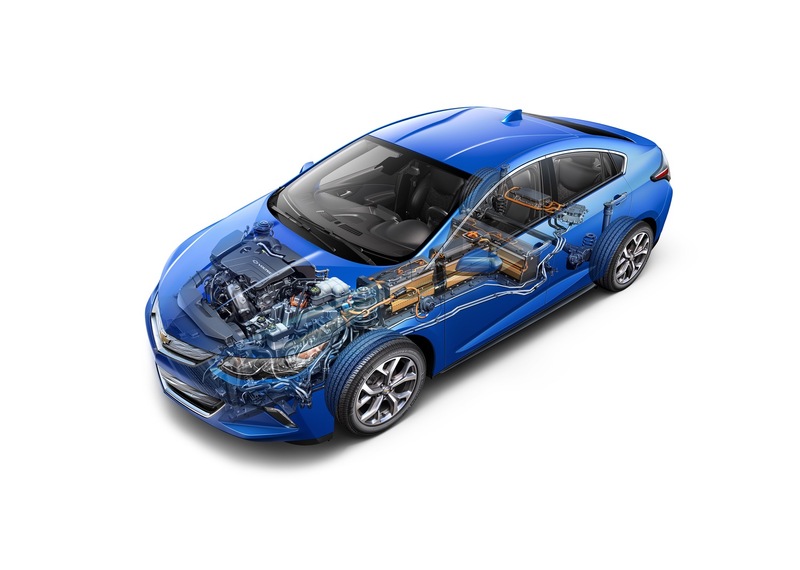 And that is exactly why it is listed among the various other NEVs in the article. 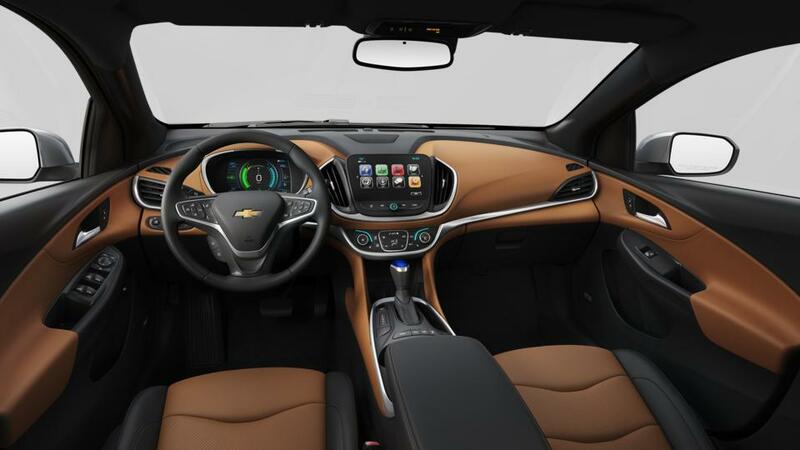 Go spend a few years at a Chevy dealership, analyze the data, understand how customers shop, and then and then tell me the article is ridiculous… or whatever. So, what is it that you actually have beef with? Please enlighten us. Oh yes they will! Low maintenance, no maintenance contract required, around town driving very high MPG 130+ easy. Charge while at work. $40K please, yes they will. 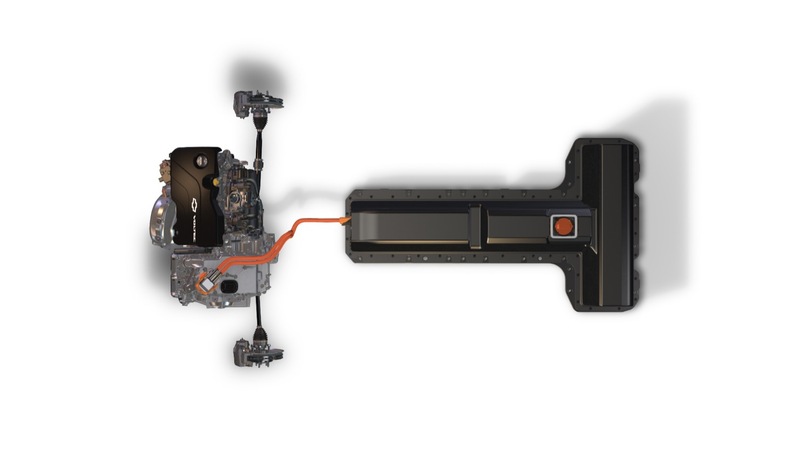 Live to dream.. a Chevy Volt SS and this can be done as simply as dropping the electric motor of the Chevy Bolt into the Volt as a jump of 50+ hp should give a big jump in overall performance. I responded to your attack piece on me, at some length; I believe you asked me to enlighten you. Mysteriously, my reply did not post. I wish I had saved the text but I did not. So if that was in fact accidental, I could try recreate it if you are interested. If not, I can only come to one unpleasant conclusion; please enlighten me.